Friends and family was not what people expected for the this wedding. Where are the famous people and the paparazzi? 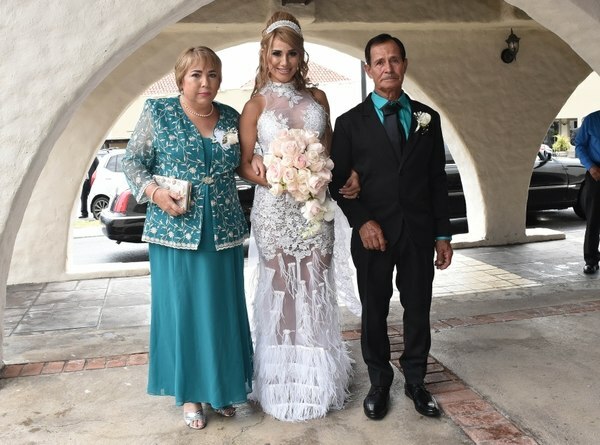 Melissa Mora’s wedding was called “the wedding of the year” since it was featured in just about every media outlet. Mora was a protagonist in the national news for 15 years so everyone knows her. Although the festivities started with a downpour, legend has it that rain on a wedding day means good luck. It’s said that this brings hope and fertility. The groom arrived a few minutes before Melissa in a luxurious limousine. The ladies spent hours on perfecting their hair and makeup for photos that will last a lifetime. The event was beautiful, of course. Surprisingly, it didn’t have famous guests. It was kept to family and friends. Melissa composed and played a song she wrote for her husband called “Thank you for making me happy.” Another highlight was when they enjoyed a fireworks show in the company of her daughter.